The keyboard on newer MacBook Pro models – those from 2016 and 2017 which use the second-generation ‘butterfly’ switch mechanism – is more likely to develop a fault than previous incarnations of the laptop. In fact, statistics suggest it’s twice as likely to fail in the case of the 2016 notebook. These stats were published by Apple Insider, and drawn from repairs made in Apple Genius Bars across the US, along with authorized third-party repair shops. They show that with the MacBook Pro from 2014, when it came to the first year of servicing, 5.6% of all models repaired had a problem with the keyboard. And in 2015, that percentage was pretty much the same at 6%. However, when it came to the new keyboard with the aforementioned second-gen butterfly switch in the MacBook Pro 2016, the percentage of service issues relating to the keyboard (not including the Touch Bar) shot up to 11.8%. In other words, it more or less doubled, and with the MacBook Pro from 2017, matters improved, but the keyboard failure rate still remained higher at 8.1% (although Apple Insider doesn’t have a full year worth of data for the 2017 model, so this isn’t a complete picture). So, given that this is from a solid source – actual Apple repairs and authorized third-party repair shops – it’s a worrying set of figures which further suggests the revamping of the MacBook Pro keyboard wasn’t such a great idea from a reliability perspective. 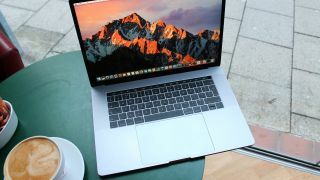 This is backed up by a number of stories we’ve seen online posted by unhappy users who have had keyboard flaws blight their MacBook Pro typing experience, including keys failing, and keys not having a uniform or consistent ‘feel’ across the keyboard. The other point to bear in mind here is that a MacBook Pro keyboard repair is not a trivial job, and involves replacing the entire upper-case assembly (not just the keyboard, but the battery and the metal chassis surrounding it). The cost ran to around $400 (around £290, AU$530) on the older 2014/2015 MacBook Pro, but it’s even more expensive with these newer models, with a keyboard replacement potentially running to $700 (around £510, AU$930) according to Apple Insider.